This is week four of -20 temps or lower, without a break. Our water is frozen every morning. 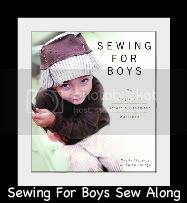 You'd think with this cold weather, I'd be getting a lot of sewing done but it's quite the opposite. The three boys have been confined to the house too often, as well as the dogs so I have been running interference between big brothers and little brothers, dogs and cats. We have been in the final stage minutes of the adoption process (yay!) and for anyone who has ever adopted, you KNOW what a time eater that is! Round #2 of the stomach flu began today and it's just too cold to sit in my sewing closet and sew. I pretty much just want to hibernate under a blanket on the couch, drink coffee, and watch the amazing sunrises we have been getting - around 11:00 a.m.
A PIF project I made for a friend last spring. 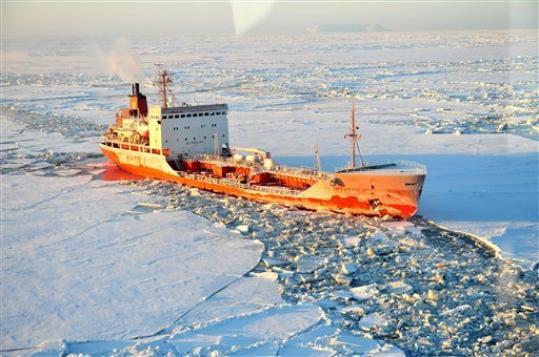 On another note, the U.S. Coast Guard Icebreaker Healy finally arrived with the Russian tanker Renda, bringing us our heating fuel and gas. What a journey! I'm certain fuel prices will rise well above the $6.00 a gallon they are now but it could be worse (and would have been if the tanker had not arrived). i love the photo of the pillow...i love that you took it outside...it is a good back drop...and lighting...i don't know what i am talking about, but i think it is cool! sorry about the flu AGAIN! glad you will not freeze to death with the fuel being delivered...scary! i hope it warms up soon...hugs! Thanks Tiff. Quite honestly, I think the media blew the whole event way out of proportion but it is a relief to know for certain that Nome and the surrounding villages will have enough fuel to heat houses for the winter! @ Colleen, Yay! I love those greens and blues together. One of these days I want a quilt made from those colors. 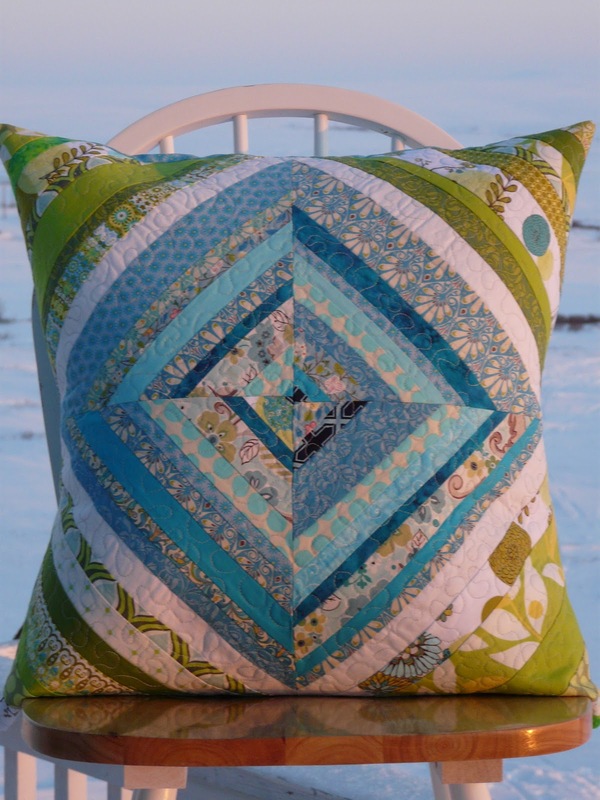 Hi - I found your wonderful pillow on Flickr and I'm just trying to complete a quilt in the same style/pattern. Do you mind if I post this picture to my blog as it gives such a good idea for a smaller project using this technique. Hi Rachel. Thanks for asking. I don't mind at all!